After changing the screen on an iPhone 5c the proximity sensor does not work. After noticing it did not work I took the phone back apart and repositioned the front camera and proximity sensor. After a hard reset it still does not work. 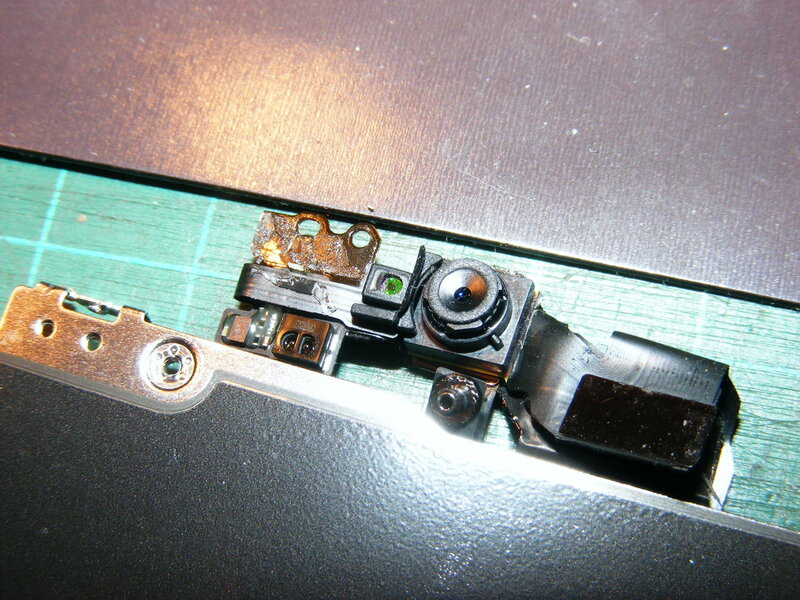 The front camera flex cable has no tears so I assume the problem lies on either the screen not allowing enough light or ... That's why I post this question on this forum. 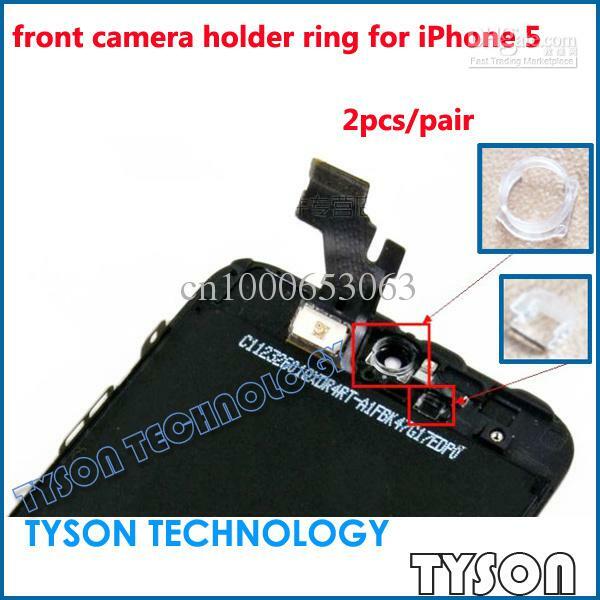 Is there any simple troubleshoot like before on the iPhone 4/4s? Is there anything I'm missing that is simply over looked? I examined the original apple screen around the proximity sensor and it matched my replacement screen. I am simply asking for any tricks or tips from others who have encountered this problem..
Hi guys, i've have just found this site explaining some kind of solution to the proximity sensor issue on iphone 5c/5s. Am going to try this this afternoon i will let you know if it works. Hi Luis, did this work? This is frustrating to the consumer too as I just paid to have my screen replaced and my phone now automatically goes to speaker or facetime when I am in the middle of a call! The place that replaced it told me that the phone needs a hard reboot! I'm 99% sure this is a hardware issue and NOT a software problem! I don't know if this would work, but is probably worth the try. I know on the 4/4S you could use a sharpie to black out the proximity sensor to get it to work in most cases. I have had the same problem in the iPhone 5s , when i replaced the screen, I didn't pass these two little parts shown here onto the new display assembly , and the proximity sensor didn't work afterward. One of these little plastic parts is the front camera lens, the other is a little bracket meant to hold the proximity sensor in place. You may need a heat gun to heat the glue to get these little parts of your old assembly. I have noticed the same thing. It can be one of several things, but I have not been able to pinpoint which one. 1. I know that the (I think) ambient light sensor is ripping off of the cable when I am removing it from the old phone. This could be causing a short. 2. The other thing that could be causing this (more likely) is a little white rectangular piece of paper/plastic (?) that needs to be transferred from the old front to the new one. I think this does something like filter the light through the right way. I have noticed it makes a difference, but doesn't always fully fix it. 3. Finally, sometimes scratching off the paint on the pinhole of the screen allows more light to come through, but this is also hit or miss. Out of all the iPhone 5 and 5c I have never had 1 issue with the proximity. Now some phones I have replaced screens in had screen replacements before by another repair guys and left out the little filters for the 5c and brackets even still the proximity has always worked even without.. I suspect it'll be because the little black rubber shroud that sits over the proximity sensor has fallen off when you did the cable transfer. I had a client phone come in the other day and I noticed it was missing ( from a previous repair ) and asked if they'd been having issues, and they have, with poor face-presence recognition and similar. To date I've not yet found a supplier of replacement units. Paul, Thank you for the photo it is exactly what I was looking for to confirm the replacement of the rubber. There were tiny glass shards on the camera and I was wiping off that area lightly with a small soft brush. That is how the rubber shroud fell off. after trying several different fix it resolutions, i determined the issue could not be resolved any other way than replacing the screen, so i switched out the screen with a new screen and viola! the proximity sensor works! problem solved. I had the exact same problem before. I fixed it by taking apart the phone and making sure the gold plug fits perfectly in the rubber groove it goes into. If that is not in, the sensor will not work. It is a pain to do but after it usually always works. just switch out the sensor, its not he glass. The solder connection to the sensor is very weak if you extract prox to firmly it will disable the the connection. if you in NZ buy a replacement sensor here Synced Repairs. hi there. there is a fine solution. OK guys here is the FIX it works for me every time (for the 5C) Look at where your proximity sensor will sit on the inside of the screen, take a screwdriver or something with a pointy tip and scratch the paint off this little area making it clear or see through. (NOTICE:ONLY SCRATCH OFF THE PAINT WHERE THE PROXIMITY SENSOR TOUCHES THE SCREEN) Put it back together and test by making a call if it didn't work you need to replace your front camera flex. feel free to ask any ? HELP!!!!!!!! I am an old lady and having this issue. I did crack my screen and had it replaced at Office Depot. Exactly where is this proximity sensor and how do I remove he screen to scratch paint off? And what does "jailbreak " mean? I am sorry, but I can not afford to take my phone to be fixed but this beeping every time I try to have a call is making me crazy. I swear it makes me so embarrassed I want to cry. CORRECT FIX!! On the original screen, there would have been a white square sticker that you are meant to swap out when changing screens, on all black iphone screens i might add. Its about 2mm x 2mm in size. If you have lost this then you can use PTFE tape. just cut 2mmx2mm square out witha scalple . Stefan wird auf ewig dankbar sein.